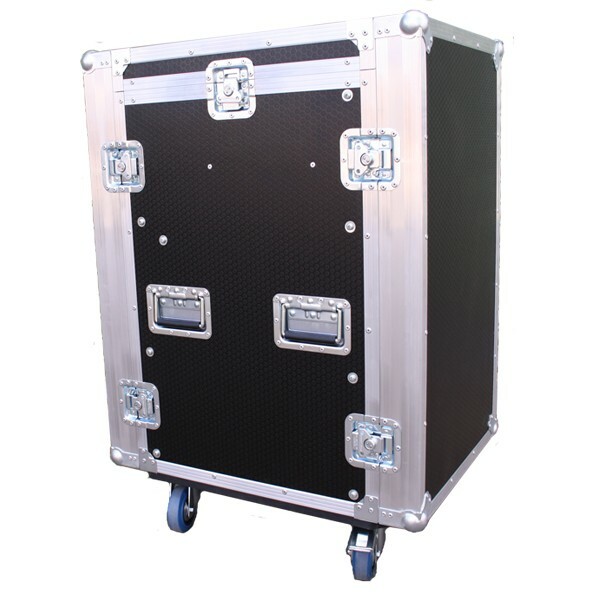 Heavy duty 9mm flightcase panels. Removable front, rear & top panels. Heavy duty recessed butterfly catches with padlock lugs. 100mm Castors, Front 2 with brakes. Telesopic ratchets to adjust mixer to required angle. Bottom Rack rails fitted front & rear (500mm between rails). 100mm gap between top rails and fixed shelf underneath. 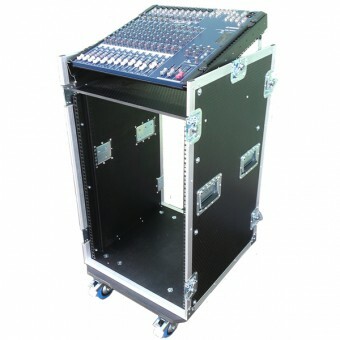 11u Top Rack rail for fixing mixer. AS WE CUSTOM MAKE OUR CASES WE CAN ADJUST THE SPEC OF THE RACK TO SUIT YOUR REQUIREMENTS SUCH AS ADJUSTING THE GAP BETWEEN THE TOP RAIL & SHELF OR MAKING THE CASE DEEPER OR MORE SHALLOW. RECESSED DISH & LABEL - Ideal for marking up the case with company name, venue etc. CASE PANELS - Black Hexaboard and Coloured Laminate finishes on 9mm Birch Ply. If you require a custom size please contact our sales team. 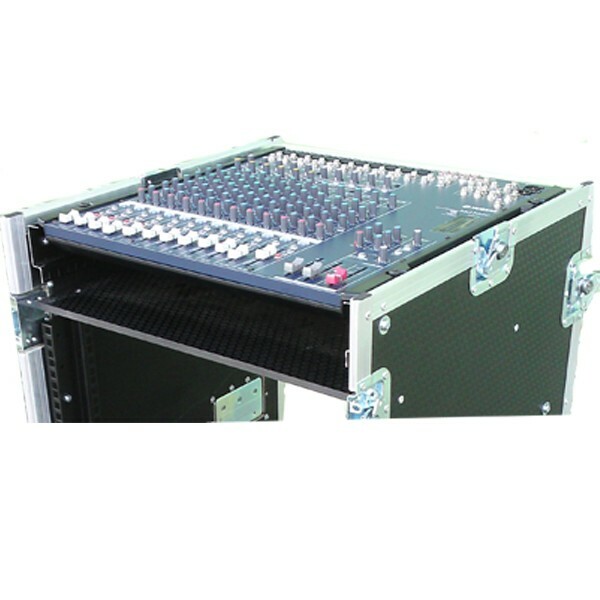 RACK ACCESSORIES - Check out our Flightcase Hardware Shop for an extensive range of 19" Rack Accessories.